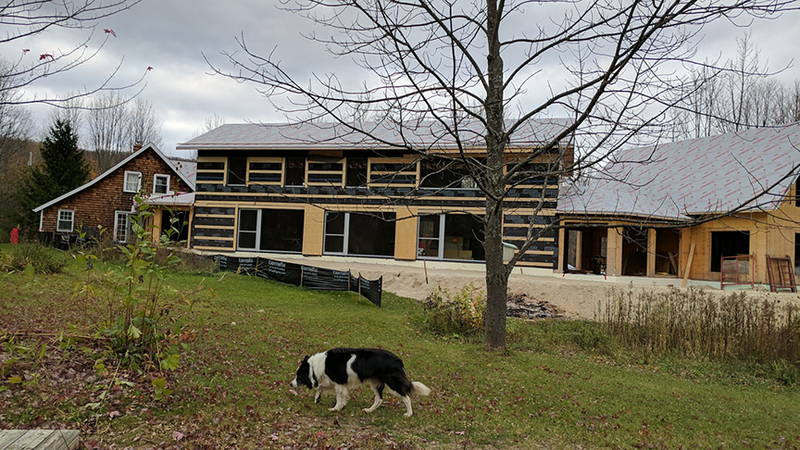 Constructing a 2500-sq-ft two-storey contemporary Passive House attached to an existing cedar shingle loghouse and a new garage via breezeways in the Collingwood area north of Toronto. 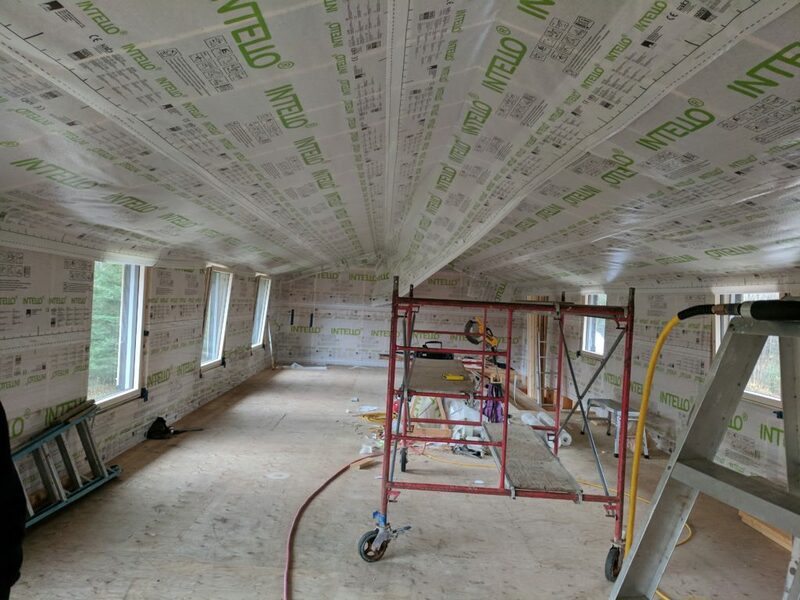 We are attempting to use conventional framing methods with advanced insulation products to comply with Passive House criteria. 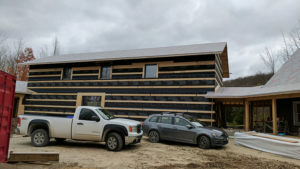 The structural walls are 2 x 8 x 24″ centres with 3″ of Gutex on the exterior and a 2 x 4 service cavity on the interior insulated with Havelock lamb’s wool for an R50 wall assembly. 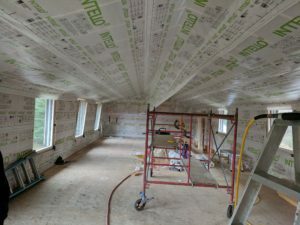 Roof trusses with 32″-plus insulation cavity for R90. Underfloor slab 12″ of Styrofoam for approximately R50. 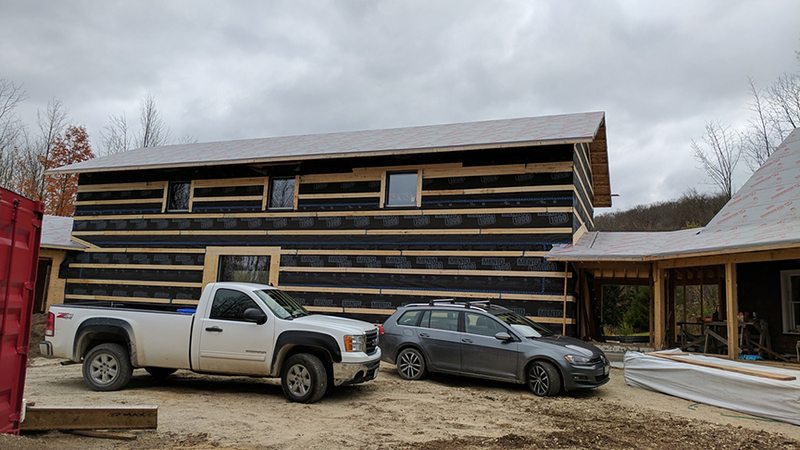 House wraps, Insulation products, and vapor permeable tapes as per advisement from Lucas Johnson at 475 solutions. 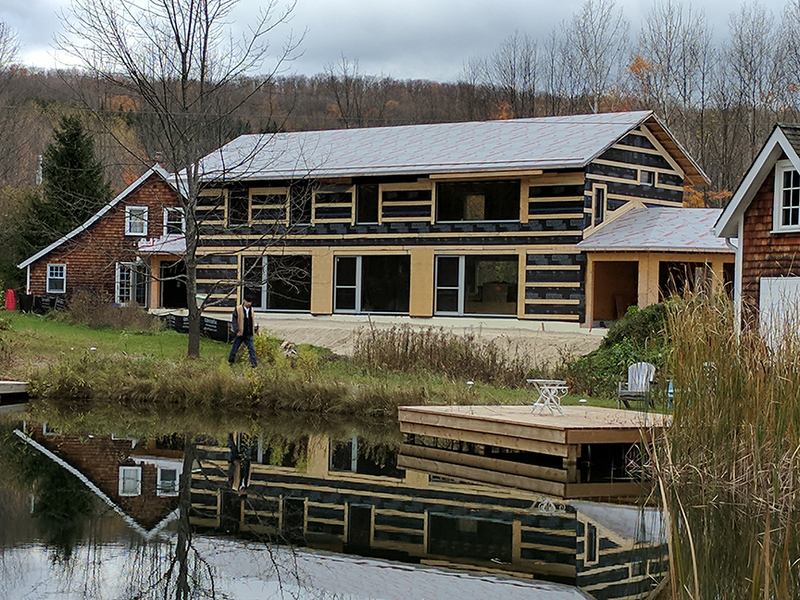 Triple glazed certified Passive House windows by Optiwin. Hope to achieve passive house certification under consultation with Andrew Peel at Peel Passive House Consulting. 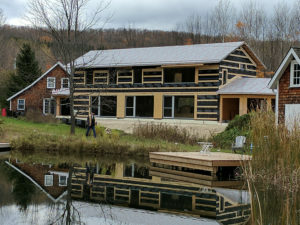 Architect: William Dewson Architect Inc.; local Collingwood builder: Frank Wyssen at Creek Valley Inc.